Avignon is in the heart of Provence at the intersection of three French regions: Provence-Alpes-Côte d’Azur, Languedoc-Roussillon and Rhône-Alpes. 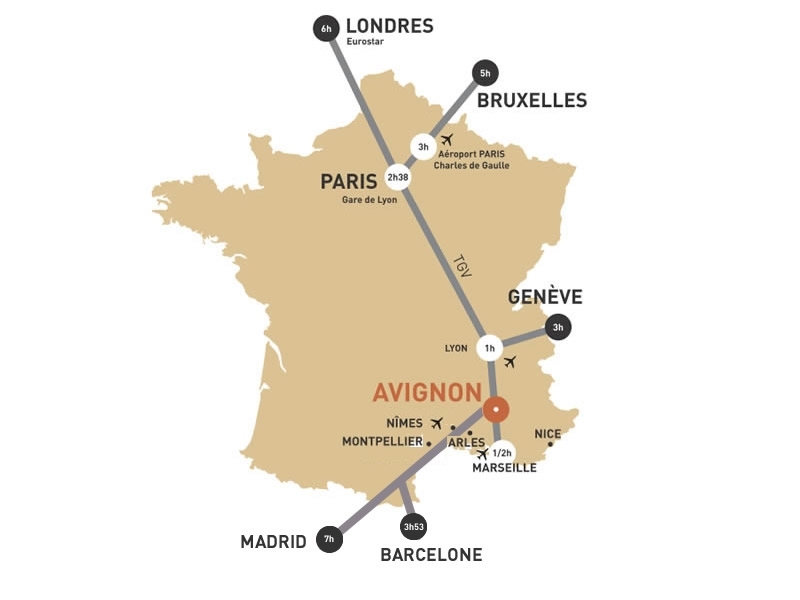 Avignon’s has a unique geographic position just 2 hours and 38 minutes from Paris by TGV. 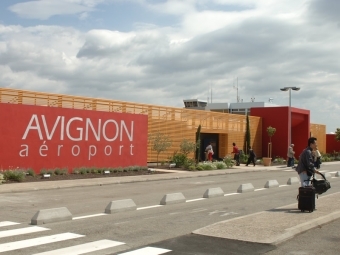 The closest airport is in Marseille and is 45 minutes by car from Avignon. 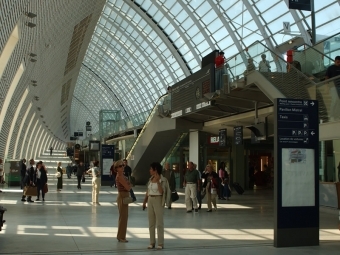 The Avignon TGV station is 4 minutes by local train to the Avignon city center train station. Daily connections to: Lille, Rennes, Nantes, Nice. 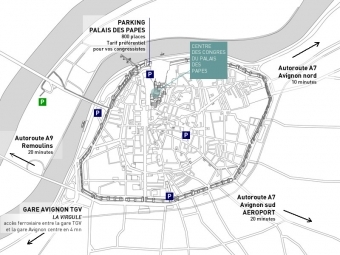 located 45 minutes by car from the Avignon City Center via highway A7, and 25 minutes by TGV. *Domestic connections and direct international connections towards 65 destinations.